This week I am wrapping up my internship with Waste Less Living, which means that I will not continue posting on a regular basis. I have learned so much about composting and the zero waste situation in Pasadena, and I look forward to continue finding ways to take action. In addition, it has been very interesting to partner with a local company that I previously knew nothing about. Until this past April, I had never even heard of an entirely zero waste event. There is a huge potential to grow the the composting industry, and it is exciting to see nearby cities taking the lead in waste reduction. To me, one of Waste Less Living’s most valuable services in Pasadena is its educational program. It is wonderful to see local schools interested in zero waste, and hopefully we can work towards a similar program at my school to reduce our footprint. Discussing current issues each week with Christine Lenches-Hinkel, founder of Waste Less Living, also provided insight and a new perspective on environmental issues, and I’m so glad I was able to take part in this rewarding experience. I am looking forward to sharing all that I have learned this summer with my classmates and teachers – hopefully we can take these ideas even further. I also hope that you have learned more about zero waste and other environmental concerns, particularly in the Pasadena area. I want to leave you with with this video in the hopes that you will be inspired to take action in your community: http://thesoilstory.com Thanks for following along! How do you convince an entire community, city or region to change their practices and develop a new mindset – and implement a long-lasting system to support the next generation? Education is key in changing a community’s mindset and developing an entirely new system for waste management. Waste Less Living’s vision is to build strategic partnerships within the community, and then later be able to reach larger institutions (like municipalities) that have more responsibilities and influence. They target smaller networks, such as schools, in order to build towards larger scale projects and provide an example for the city. Eventually, cities will hopefully offer financial support so that more schools and organizations can have programs – in turn, helping the city achieve its waste diversion goals. Waste Less Living’s educational program at High Point Academy in Pasadena is innovative and successful. 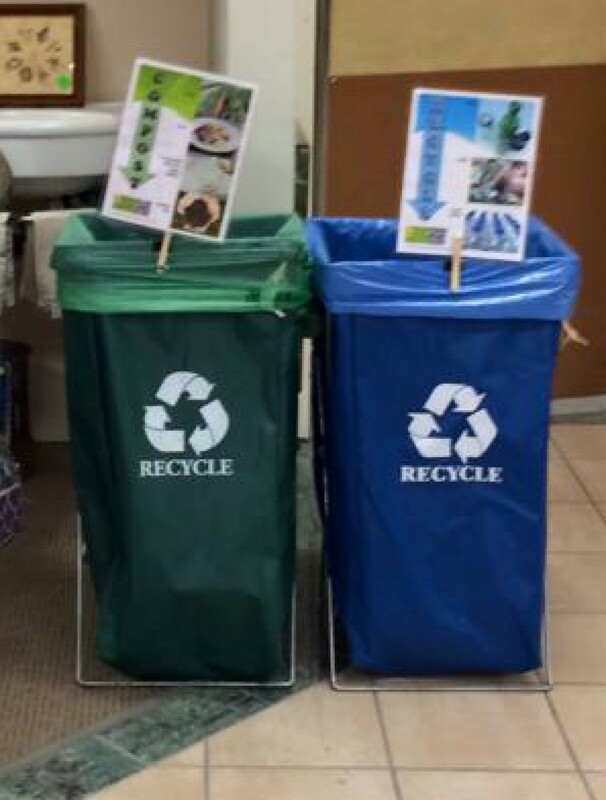 The program seeks to teach students the importance of composting and resource conservation, and they conduct landfill demonstration workshops in each classroom to highlight how solid waste impacts the environment and how to sort lunch waste. The school also installs waste sorting stations specially designed by Waste Less Living for recovering the organics, recyclables and separating out the trash that will be sent to the landfill, which allows students to monitor, measure, and record waste recovered on a daily basis. Students and Waste Less Living update the master database each week, analyze the results from week to week, and calculate waste diversion rates, which incentivizes the students to reduce more. The school’s food scraps, compostable tableware and soiled paper goods are then processed off-site at a commercially operated composting facility. To create a closed loop system, organic waste is now being applied to their athletic field as part of a scientific study to determine whether compost can improve turf conditions and save the school money on irrigation costs. In addition to High Point Academy, Art Center College of Design is also interested in Waste Less Living’s services. Art Center has a proactive student body interested in managing the school’s waste stream. They recently contacted Waste Less Living about composting/waste separation services because students are unhappy with hauling services that commingle all materials (an unsustainable service model). Instead, on-site source separation allows students, faculty and staff to take responsibility for what they throw away. Along with a zero-waste initiative, Art Center also has a student-run organization called EcoCouncil that aims to create ecological solutions and promote sustainable design. Groups like these are fundamental in enacting change within an institution – Art Center has already begun a composting program in the cafeteria, but they want to do more. Next, Art Center hopes to recycle clean fibers as well as continue source reduction, recycling, reuse and environmentally preferred purchasing. Other institutions can learn from High Point’s and Art Center’s openness and interest in building a sustainable future. Waste Less Living focuses on schools and students in order to change the climate and culture of an educational community. They believe that schools, both private and public, are the best place to start building strategic partnerships. By educating at the K-12 level, Waste Less Living hopes to not only shape students’ mindsets, but also those of faculty, staff and administrators. High Point’s program has had immense success, not just in waste reduction (with a landfill diversion rate of 86% in 2013), but also in community response. Students and administrators are very supportive of the program, and High Point is setting an excellent example for the city. The program has also been recognized through awards at both the city and state levels. Other schools can easily join in and begin composting programs – and once they begin to enact change internally, change can be made on a larger scale. Forming strategic partnerships between companies like Waste Less Living and other organizations in the city also encourages waste conservation that will assist Pasadena in reaching its goal of becoming a zero waste city by 2040. If many business and schools already have zero waste practices, it will make a lot of sense for the city to become entirely zero waste sooner – in other words, enforce source separation throughout Pasadena as other cities have done. In order to catalyze change, we have to begin changing mindsets. The best place to change mindsets in the community is within an educational framework. High Point Academy will be having an open house featuring Waste Less Living on October 2, 2015! Details will be on the Waste Less Living Facebook page close to the date. Please visit www.facebook.com/Wastelessliving or contact Christine Lenches-Hinkel at clhinkel@wastelessliving.com to learn more. On Monday, August 17th, Waste Less Living will speak in front of Pasadena City Council to request an exemption from the solid waste franchise ordinance as a “self-hauler.” They will provide public comment and request that the matter be placed on the agenda for next week’s meeting (on August 24th). Hopefully, a formal decision can be reached next Monday – but Waste Less Living needs the public’s help. Look out for another post on Wednesday, August 19th to learn about strategic partnerships and Waste Less Living’s vision in the City of Pasadena. You can act now and make a difference! Please e-mail: clhinkel@wastelessliving.com to get the CALL TO ACTION email with sample language and City Council email addresses to write in if you are interested (just cut, paste and send). Christine Lenches-Hinkel, founder of Waste Less Living, has recently been invited to join Assemblyman Chris Holden’s Environmental Advisory Committee in the 41st Assembly District! The Committee is part of Assemblyman Holden’s Community Advisory Council, and its members will work closely with his office on matters related to the environment, small businesses, women’s rights and other community-related issues. Congrats to Christine on this great opportunity! Claremont’s plan focuses on key areas for improvement that are essential in preparing the city for an environmentally conscious future. Their definition of sustainability is: “The ability for the City and residents of Claremont to meet the needs of the present economy, society and environment while preserving the ability of future generations to meet their needs” (Source: Claremont General Plan, adopted November 14, 2006). A plan like this requires efforts from all members of the city in order to implement, but it also takes a variety of needs into account, providing long-term benefits for future generations. Replace commonly held ideas and practices of the current disposable society to become a resource-efficient and sustainable one. Decrease negative impacts related to the production and disposal of consumable products and packaging (greenhouse gas emissions, toxics, depletion of resources, need for landfills, and environmental harmful waste). Encourage development and use of products that consist of components that can be recycled or reused with no loss of quality or are composed of biological nutrients which can be composted or otherwise consumed. Although food waste diversion programs can be expensive, they are usually relatively feasible and provide extensive benefits, making them top priorities. Currently 60% of Claremont’s waste goes to landfills and 40% is recycled, so businesses and residents need to change their habits in order to achieve higher diversion rates (the goal is at least 70%). Food waste makes up an estimated 30% of the city’s waste stream going to landfills, which use a lot of energy to operate. Some of the Claremont colleges are taking initiative to build technology that supports the composting industry – Pomona College has a small composting operation, and Claremont McKenna College has food dehydrators that reduce food waste by 90%. Starting at the educational level to involve the community in waste reduction is one of the best ways to enact change. Claremont as a city has also been looking into some alternative waste reduction methods, including capturing energy (methane gas) to use as local, renewable energy and possibly anaerobic digestion facilities. Anaerobic digestion facilities, which produce fuel or energy from waste, are expensive to build and need high volumes of food waste. While they can be very efficient and effective, local composting might be a better option for the City of Claremont. Support State and federal efforts to build the environmental and social costs into the price of products and packaging, and require manufacturers to take back products at the end of their useful life. Like Claremont, Pasadena also has an implementation schedule based on short-term and long-term initiatives. Although it too is striving towards a more sustainable future, Pasadena is not as far along in forming and implementing as many programs. For example, Claremont’s initiatives for food waste are much more specific than Pasadena’s. Officials are still in the planning and researching phases for a lot of their projects, despite small businesses and schools voluntarily making zero-waste progress. As a city, we need to increase our educational programs in local schools, food waste collection alternatives, and increase diversion rates – and we need to do it now. Luckily, Waste Less Living has been providing such services since 2008 and with great success. Hopefully they will be able to continue their initiatives, but as I discussed in a recent post, they may not be able to provide services to Pasadena much longer through the current wording of the local solid waste ordinance. Claremont is investigating using Waste Less Living for composting services – they are still in their planning phases, but they are very open to new zero waste businesses and services. Companies like Waste Less Living significantly help increase composting rates and plan for waste reduction at a local and regional level. Pasadena should look to Claremont as an example of a model city that is farther along in their journey towards becoming zero waste – if we work together as a community, we can get there, too. What Does the Hauling Franchise Have To Do With Composting? What exactly is exclusive franchising in the solid waste world? Some cities decide to give one entity the entire city contract for waste hauling, and it can be argued that this has the potential to create a monopoly. It can also be argued that giving the privilege to just one hauler ties up all the materials in the waste stream, including organics and compostable tableware. This would be detrimental to a business like Waste Less Living and others popping up elsewhere that have different ideas for how to process organics in the waste stream. It would also preclude specialized services like Waste Less Living from recovering the compostable products it sells. Currently, the City of Pasadena has a non-exclusive franchise system, which allows multiple entities to contract in the city. Non-exclusive franchising supports innovative and zero-waste businesses like Waste Less Living to serve its customers because they can work with the smaller haulers for such specialized services. Although Pasadena is considering adopting an exclusive franchise system for the future, they have opened up the system to composting haulers in order to meet the requirements for composting – thanks to Waste Less Living’s lobbying efforts. Unfortunately, other cities that do have exclusive franchises are not as open to smaller haulers, and the large haulers are generally not flexible. Waste Less Living is trying to change that. Exclusive franchising seems desirable at first because the city can set specific goals for waste diversion, therefore increasing the amount of material sent to recycling centers and MRFs (material recovering facilities). MRFs with high processing and sorting capabilities allow for high diversion rates, so exclusive franchising seems like an attractive option for cities to quickly decrease the amount of waste going to the landfill. However, they rely on high volumes of recyclables coming in to sort through and then support the continued manufacturing of other products! So, this type of system really does not encourage or promote waste reduction or zero-waste. Instead, the unintended consequence is an increase in waste generation, not a reduction. Exclusive franchising is a short-term fix that does not plan for sustainable infrastructure. Instead, consumer education regarding consumptive habits and impacts of waste is key in helping the state achieve its goals and actually reduce the amount of waste generated. California has significant waste diversion goals, including the hope to achieve a 75 percent landfilling reduction by 2020 and to better address changes related to the management of organic waste. If they want to encourage zero-waste businesses and infrastructure to operate in order to help reach this goal, cities like Pasadena should not opt for exclusive franchising. The current non-exclusive system encourages new businesses to form, especially ones promoting composting. Although cities may not necessarily see results as quickly as through exclusive franchising, it is crucial to plan long-term and lay down the foundation for a more sustainable waste disposal system. Ideally, students today will be well educated about waste management so that in 20 years from now, the next generation of consumers will be more conscious and generate less waste by the time they get out into the workforce and start their own families. Decreasing the volume of waste we produce allows for less hauling and need to transport waste far away. In addition, less material will go to recycling centers, so eventually they will not be able to stay in business. The alternative solution to high volumes of recycling is waste reduction and increased composting. Cities like San Jose and Oakland have already opted for exclusive franchising, and while some are content with their diversion rates, others are experiencing backlash. 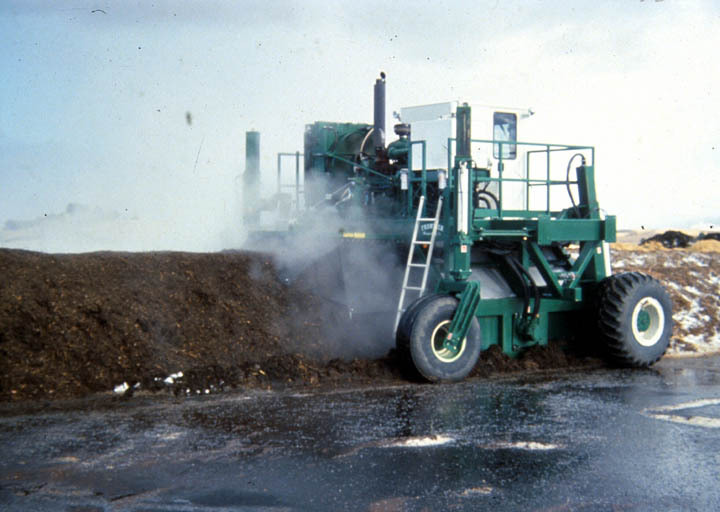 Oakland gave the Texas-based corporation Waste Management exclusive franchising for composting and solid waste services at the commercial level. As they saw prices increase by 80 to 120 percent for hauling the same amount of material, restaurant owners sent a letter to city officials demanding change. In fact, businesses have been paying more for composting collection than for trash collection. 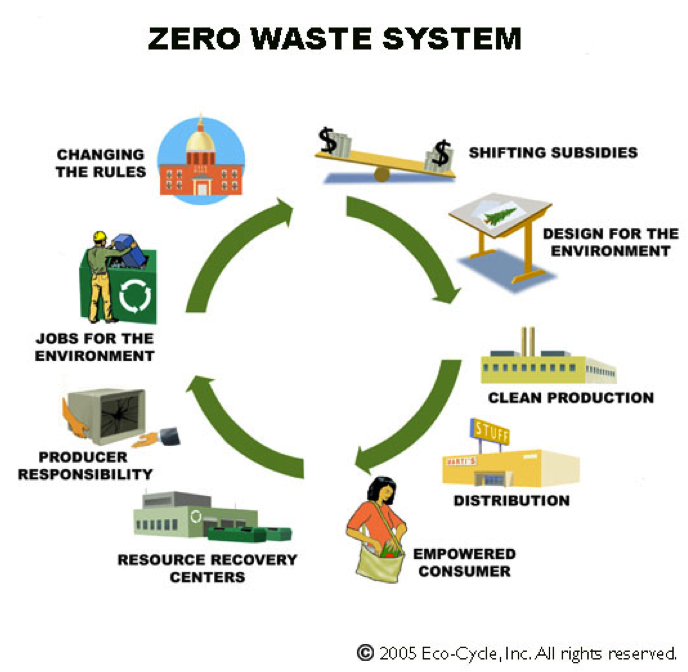 This is a counteractive model that only discourages zero-waste efforts when they should be increased. On July 20, city officials reviewed a new proposal discussing price adjustments to go into affect by August 1. In the proposal, composting rates will be lowered to ten percent below the price of trash collection. However, they still hope to find a more permanent solution as Waste Management will have to figure out how to regain their losses – perhaps by extending their contract with the city. Oakland is a good example for other cities to see the potential fallout of exclusive franchising, and now is a good time for them to reconsider their franchise systems. If Pasadena adopts exclusive franchising, they could face the same problems with price setting. Los Angeles also uses a unique system of exclusive franchising, but instead the city is broken up into 11 zones. Mayor Garcetti greatly supported this change in 2012, saying, “The sheer size of our market share and our leverage ensures not only that we’ll have worker conditions that are fair, not only will we have a better environment, but we can protect businesses from the costs as well.” His thinking plays into the idea that the City of Los Angeles will be able to quickly raise diversion rates to meet their goals. True, they can set standards for operating clean air vehicles, recycling rates and living wages. However, they will not encourage waste reduction, and instead, as council member Mitch Englander explains, create a less competitive marketplace where fewer haulers are allowed to operate. New staff are also necessary for an exclusive franchise, which only increases costs. So, what does exclusive franchising have to do with composting? Cities that decide to enact an exclusive franchise system emphasize recycling as a means for waste diversion, but they do not educate the public about how to actually reduce their waste. Only allowing one hauler to operate in an entire city does not support competition, and it does not encourage innovation or new zero-waste businesses. Hopefully Pasadena will not follow other cities’ decisions, and instead support long-term sustainable, local infrastructure. This is a great article recently published in The Atlantic that discusses different aspects of the waste stream and the future of trash. You might know that trash and landfills are harmful to the environment, but did you know that recycling is, too? Recycling is intended to reduce waste and greenhouse gases; however, the business model no longer fits Americans’ needs, and there are some fundamental problems with the system. The original infrastructure was designed for a large amount of paper recycling, but it has not kept up with new technological developments, and thus, newspaper recycling has greatly decreased because of the internet and e-readers. Recycling has been on the rise in recent years, but it has existed in different forms since the early 1900s, before mass production became popular. Environmental awareness increased in the 1970s when EPA was formed, and by the 1990s, curbside recycling pickup became widely available. In fact, according to the Bloomberg View, the newspaper recycling rate rose from about 50% to about 70% from 1994 to 2014 because of curbside recycling pick up programs. Recycling facilities were designed to profit from lots of paper coming in, but that is no longer the case. During that same period, the volume of newspapers recycled declined from around 16 million tons to around 8 million tons. According to the EPA, containers are the largest component of American waste (around 30 million tons in 2013), and packaging has gotten lighter in recent years. You may have seen advertisements for “green” plastic water bottles with claims about companies’ eco-friendly commitments; however, the harmful impacts of the bottles’ life cycles prove that their marketing is not really accurate. While less packaging is good, “green” bottles take just as much time and effort to recycle and do not solve the problem of excess waste to begin with. Since more recyclables are needed to form a pound, the cost per unit is higher, and the transportation costs are the same. Unfortunately, not all plastic that is recyclable gets recycled. Sorting plastic is labor intensive, costly, and tricky due to the many different types and qualities of plastic. Some plastics have additives and are a blend of chemicals, so their melting temperatures vary. For example, PVC can technically be recycled, but because of its low quality, it most often ends up in the landfill. PLA, or bioplastics, contaminate the recycling stream because they have a higher melting temperature. So why should we be concerned about plastic waste? EPA’s studies reveal that in 2013, 33 million tons of plastic waste were generated, or more than 13 percent of the municipal solid waste stream. More importantly, just 9 percent of that plastic was recycled. Recycling may seem like a great solution to the problem of too much waste, but with the current system in place, it is actually not the best answer. 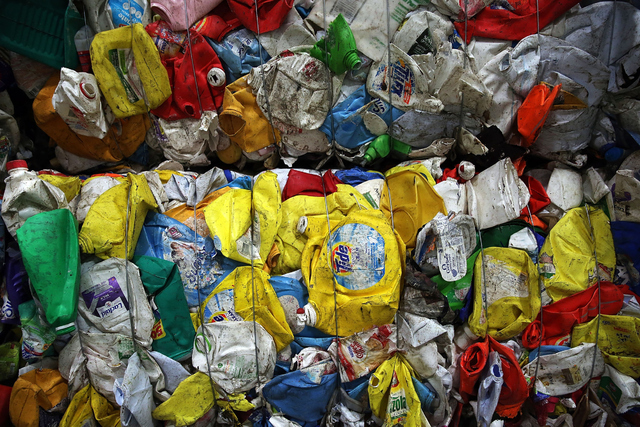 Once our recycling is sorted, most of it ends up overseas in China so it can be manufactured into new products. Inform* shares that, “In 2007 alone, China imported about 24,900,000 tons of recovered paper, of which the United States supplied 44 percent or about 10,961,383 tons.” After the material is shipped overseas and back, the new products have to get distributed across the U.S. — also increasing emissions. Consistently transporting materials overseas releases lots of greenhouse gas emissions, polluting cities and oceans and causing health problems — what recycling tried to reduce in the first place. If the recycling market today depends on far-away exporting and transportation, then we have to find an alternative. The solution to the recycling problem comes down to consumer responsibility. It is up to you to reduce your amount of waste by using reusable items and opting for products with as little packaging as possible. The best option is to try to lead a zero-waste life as much as possible, even though it can be difficult at times. As a consumer, you can find easy alternatives to wasteful products you buy frequently. For example, plastic mechanical pencils are very popular, but they need lead replaced periodically, which comes in plastic containers (as well as additional plastic/paper packaging). Instead, traditional wood pencils that can be sharpened are much more eco-friendly. You can also think about your role in the product lifecycle, or, “the process of managing the entire lifecycle of a product from inception, through engineering design and manufacture, to service and disposal of manufactured products.” Waste Less Living takes responsibility for dealing with products after they have been manufactured all the way through their disposal. With the large amount of compostables they divert from the landfill, they practice a closed-loop service model. We need to plan for zero-waste, not recycling. Reducing and reusing really are the best options, but the best alternative for disposable items is composting. I have always wondered what we can do about the ubiquitous plastic – it seems almost impossible to eliminate entirely. Bioplastics that are properly composted in commercial composting facilities are a good option. Waste Less Living offers reusable glass water dispensers for parties and events that significantly reduce waste. You can also purchase their compostable tableware that they will help properly dispose of, seeing the product completely through its lifecycle. It’s time to go beyond recycling. What will you do to take responsibility for your waste? *Inform is a national non-profit that produces short films designed to educate the public about the effects of human activity on the environment and human health. An innovative company helping Pasadena achieve its goals of becoming a zero waste city by 2040 has been cited for violating municipal code. They are helping shape the city’s solid waste ordinance to allow for a wider array of “green” services, like composting service providers and other recyclers, to operate and thrive within the city — but they need your support. Waste Less Living currently helps schools, residents and small businesses compost food scraps and other organic material using a closed loop service model. One of their key principles is the concept of producer responsibility. 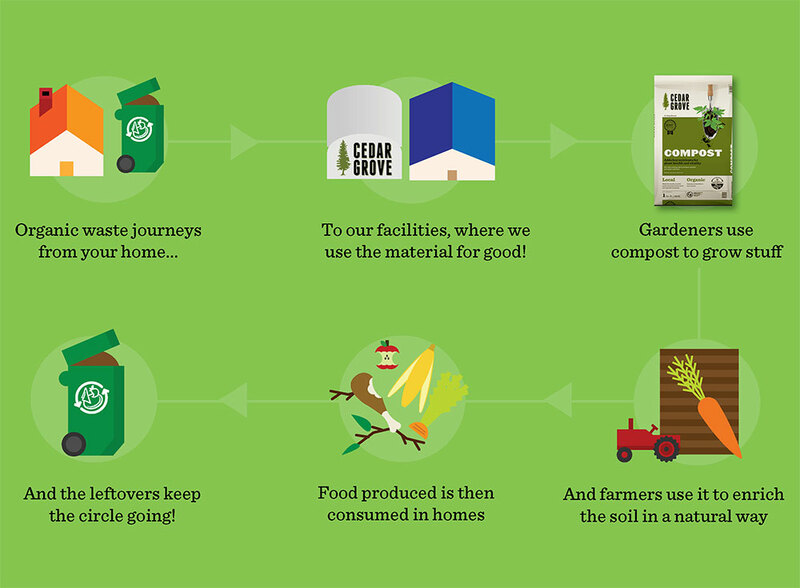 Although Waste Less Living is not a manufacturer, the company sells compostable products, hence, producing waste, but then recovers them back, and finally delivers the material to the nearest permitted composting facility. Recovering compostable material is part of their service model and operation, and by closing the loop through composting, they are acting responsibly. Christine Lenches-Hinkel founded Waste Less Living because she saw a problem with sending compostable materials to landfills. The environmental impacts alone from hauling this material to distant landfills and recycling centers only scratch the service of the problem. 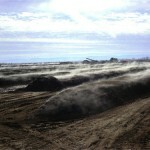 The deeper cut is from the missed opportunity of turning this material back into compost, a sustainable product. After earning her Masters of Science degree in Forestry with an emphasis on International Resource Conservation from the University of Montana, Christine worked for over seven years as an environmental planner for both boutique environmental firms and corporate companies. She started Waste Less Living to focus on solid waste and to offer consumers an alternative to landfills and recycling that is better for the environment. Another one of Waste Less Living’s main services is its zero waste educational program, which is currently implemented at High Point Academy. Along with workshops about the environmental impacts of landfills and waste, students also learn how to monitor and reduce their own waste. The uniqueness of the program lies in the amount of organic waste that gets diverted from landfills through off-site composting. Even the school’s event and party waste gets composted with the help of Waste Less Living. Students know exactly what they generate and how much gets diverted from landfills. Over the last 6 years, High Point Academy has diverted nearly 24 tons of organic waste and has achieved upwards of 87% diversion from landfills. CA Air Resources Board — CoolCalifornia.org Small Business Award Certificate of Recognition (2011). Even with the valuable services Waste Less Living provides to the city, the business is being threatened and may be forced to shut down depending on the outcome of the upcoming City Council meeting. On July 20th, Pasadena City Council will consider Waste Less Living’s request for an exemption from the solid waste hauling ordinance. The Department of Public Works has categorized Waste Less Living as a hauler and has denied Waste Less Living’s request to be considered a “self-hauler,” which is an exempt activity. While Waste Less Living does deliver the recovered material directly to a composting facility, this activity is not their primary business operation. In fact, Waste Less Living works with other haulers for large scale events. The current Pasadena solid waste ordinance treats all hauling of material as hauling of solid waste, and it does not make the distinction that compostable material is actually not a waste item but a resource. Waste Less Living would like to see accurate language in the ordinance that would advance and promote the evolution of businesses working in the composting and zero-waste industries. While interesting to see the city challenge such an innovative and novel business, it will be a shame if City Council does not grant Waste Less Living an exemption. If they do not, Waste Less Living will still continue to operate as allowed by state law, AB 1826 that was passed in September of 2014. I sincerely hope that they will be able to continue their valuable services to consumers and schools in the Pasadena area.